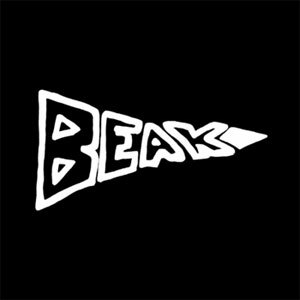 Geoff Barrow is well known for being the über perfectionist musician/producer behind Portishead, but with Beak>, the band he formed with fellow Bristolian Billy Fuller and Matt Williams earlier this year, the emphasis is on the raw and direct rather than on the immaculately produced. Written and recorded in just twelve days, in live conditions, with no overdubs, within days of the band getting together, this eponymous debut album is the fruit of a very different process, and has very little to do with Barrow’s past records. Fuelled with heavy doses of Can, Faust or Neu!, channelled into sweeping hypnotic pieces or much more introvert lingering moody compositions, with vocals buried deep in the mix, often sounding more like incantations than fully developed songs, Beak> feels somewhat out of synch with much of the current musical movements, yet this is no nostalgia for the sake of it. The strict recording constraints that the trio imposed on themselves combined with their respective backgrounds, Barrow as a multi-instrumentist and producer, Fuller as a member of psyche pop outfit Fuzz Against Junk and Williams as a largely experimental musician, recording under the Team Brick brand, give this album its heavily visceral energy and maintains the momentum even through its most introspective moments. The stripped down instrumentation and absence of additional production give these tracks a strong cohesion throughout, from the entrancing grooves of Blackwell or Blagdon Lake, the urgency of I Know or Iron Acton or the ill glow of Pil, Ham Green or The Cornubia. Even the surprisingly cinematic and airy Battery Point or the menacing Flax Bourton rely on very little trickery to convey their respective mood. The danger with a project like this one, where the creative process is so condensed, is that the lack of distance can easily lead to self indulgence. Yet, this has long been a process favoured by jazz musicians especially, often to great avail. Barrow and co. actually manage to create a pretty impressive record here. 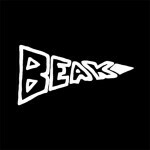 Free from the usual restrictions of modern popular music and invigorated by the live setting, Beak> bring this album to life literally as they plough through it, their raw energy infiltrating the fabric of these songs to give them a very vivid relief.